This is one of the first paintings that I completed in graduate school at Pratt Institute in 1993. The former title was "Indian", but since then I seem to refer to old Pontiac automobile often. 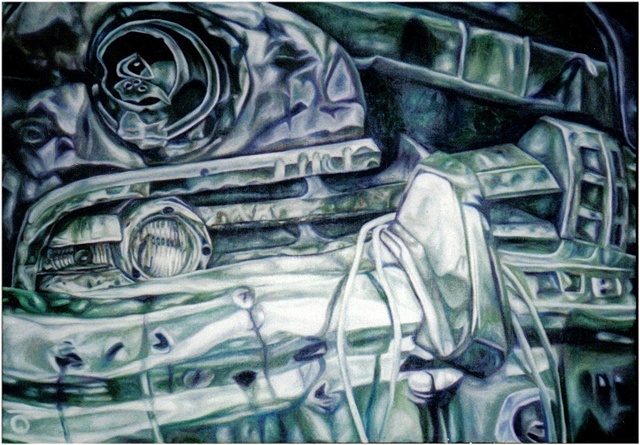 So I retitled this painting "Hollow Light", since the poor Indian has a missing headlight.